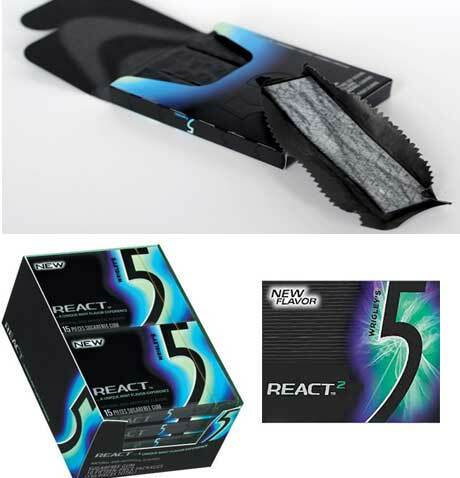 Wrigley 5 React 2 Mint Gum will start a buying chain reaction in your store. The sleek black package with an electrifying burst of vivid color draws the eyes instantly to this sugarless gum. The piece of gum itself continues the modern style with swirls of black and gray. One taste and all of your senses will react. 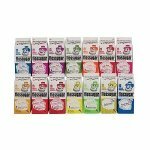 Wrigley 5 Gums all have a unique flavor that will satisfy all of your customers. Try the React Fruit for a refreshing fruit sensation. Why wait? Order today!